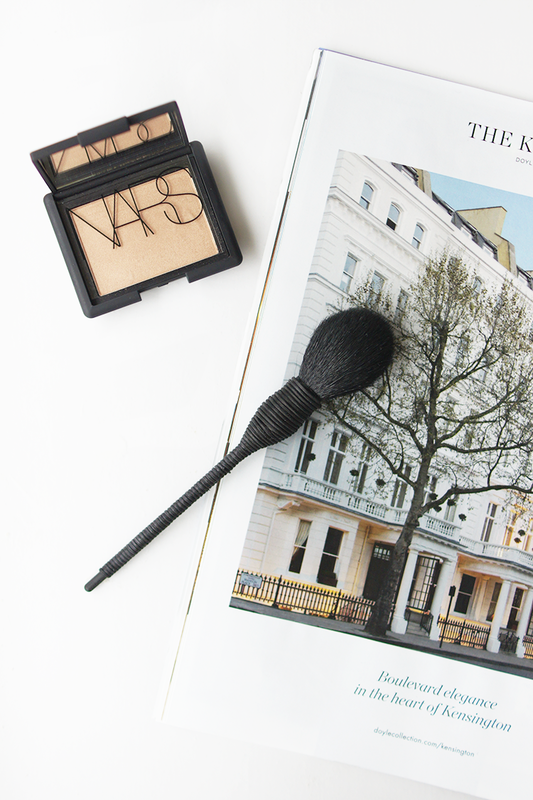 NARS TRIBULATION, CHAMPAGNE POP DUPE? 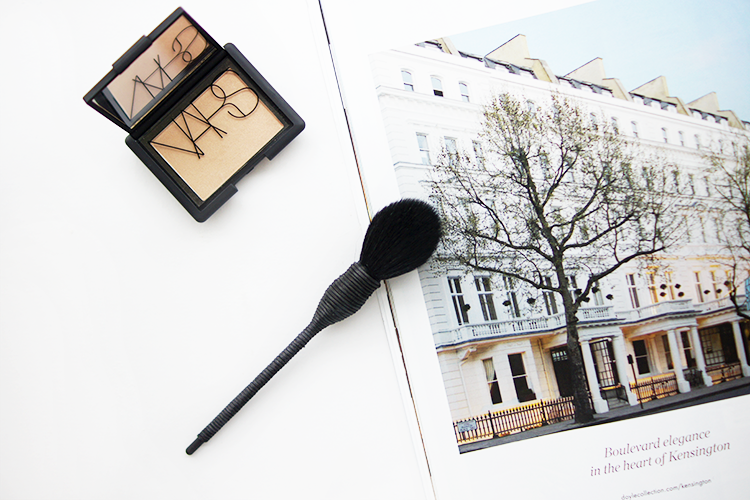 Ever on the hunt for the perfect highlight, this time I found myself coming home with Nars' Tribulation 'Blush'. I don't know why they couldn't just call it a highlighter because I don't know for whose skintone this would be a blush! 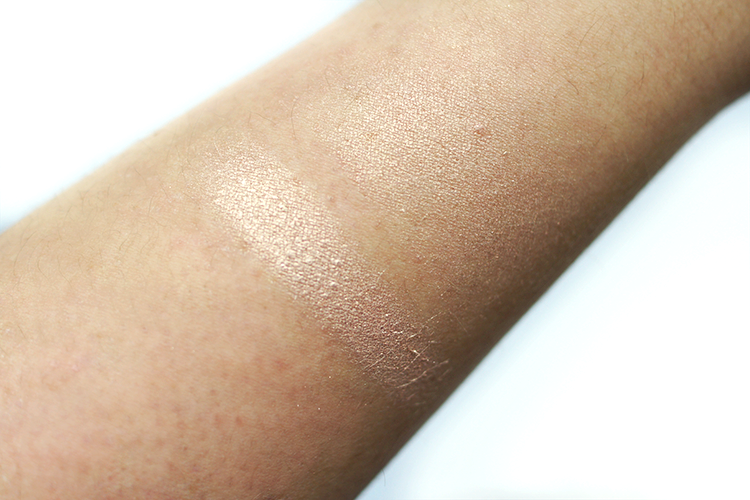 Becca's Champagne Pop is probably next to the Ambient Lighting Edit on every second blog lately and whilst I adore the colour/tone/shade, it's just that bit too shimmery/frosty for me. I've heard Tribulation is the perfect dupe for the more subtle party like myself, so let's have a look at it shall we? Right off the bat, it looks more sandy, dark and beige (although of course not under this bright light!) in the pan than I'd envisaged. 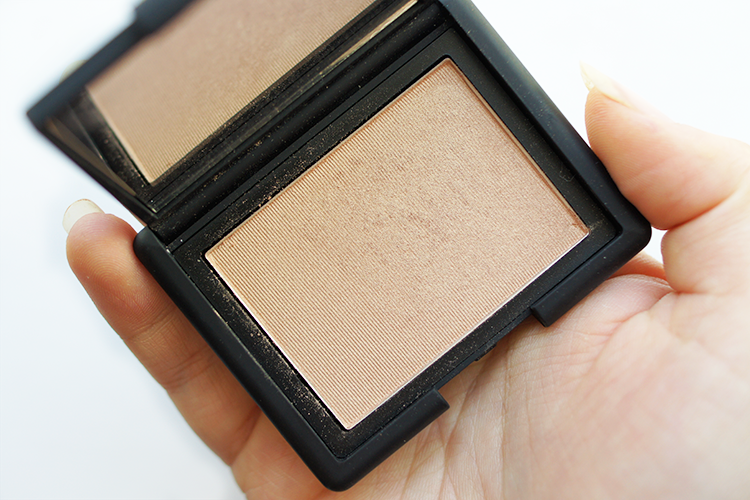 With that and the fact it's not shimmery nor that beautiful in the pan either, I think if you have a fair to medium skintone, you might walk straight past it. But whoa there Hasty Hannah, it might be worth giving this one a shot..
Tribulation is ever so slightly more rosy, swatched heavily, than Champagne pop and more sheen-y rather than shimmery. D'you know what though? I'm going to go out there and say it; I actually prefer it. It lasts really well on the skin and is fairly transfer resistant, on my normal to combination skin it lasts more than 8 hours. It also doesn't cling to dry skin making it a good option for all skin types. 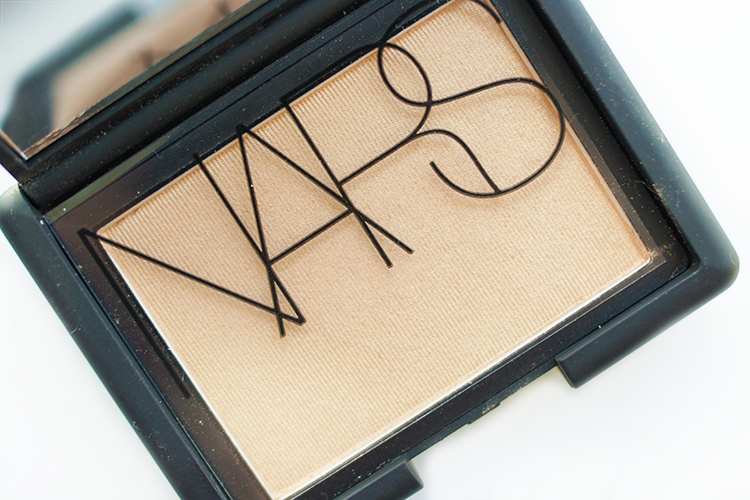 This guy is limited edition so hurry on down to your local Nars counter and pick it up if you like it. If you're after a trio of liquid, cream and powder highlights, I highly recommend you check out my review of these Josie Maran wonders, I never believed they'd be so good.